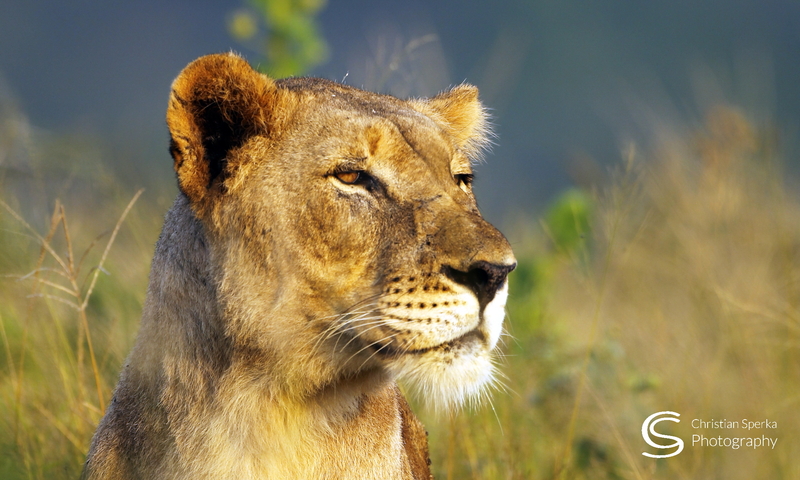 It is always an unexpected thrill when Lions pass within hands reach of the vehicle. 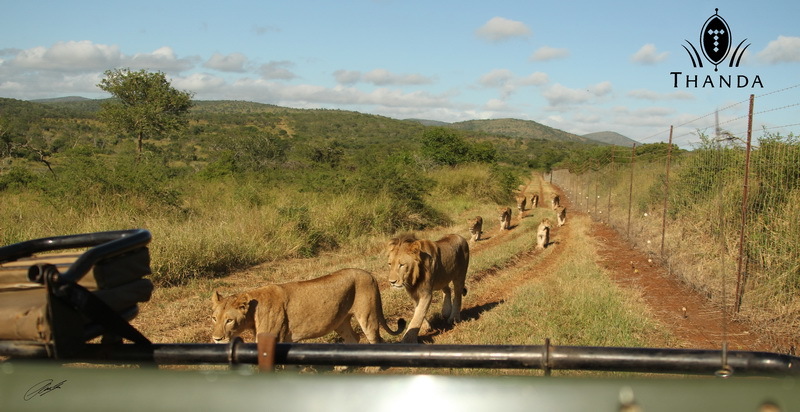 All nine Lions of the Thanda North Pride were walking along the northern fence line when we had this beautiful encounter. 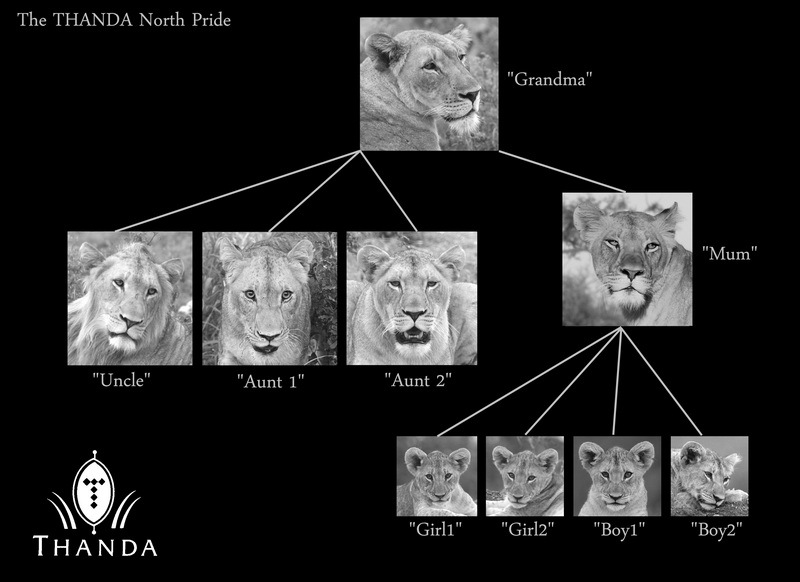 Below is the Thanda North Pride “Organization Chart”! Wow – would have loved to witness this parade! How exciting that must have been . The family out for a stroll. It would be great to see this! All 9 lions walking down the road like they are going home to eat. I would have loved to see this pride walking down the road (as long as I was in the vehicle with a guide)! What an awesome event! Next PostNext Not your best day!